Jeff Preston has been working in the RPG industry as a freelance illustrator and concept artist for several years. His art has been featured in products released by Chaosium, Atlas Games, Catalyst Game Labs and many others. 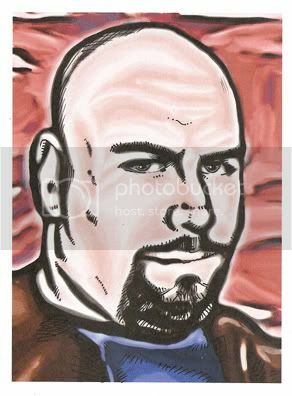 Recently Jeff was one of the featured artists in the Halloween Horror series here at Flames Rising. Jeff has also been busy working on some of the Shroud products with the folks at One Bad Egg. How did you get started working with the folks at One Bad Egg? As a part of my freelancing I have a long list of companies I contact regularly for work. Publishers of every stripe. If I’m not working on a project, I’m doing that. So one of these was Evil Hat Productions (Spirit of the Century). Corresponded with Fred Hicks there a couple times and they had some work coming up under the One Bad Egg, LLC imprint. A little bit of follow up and I got the call. 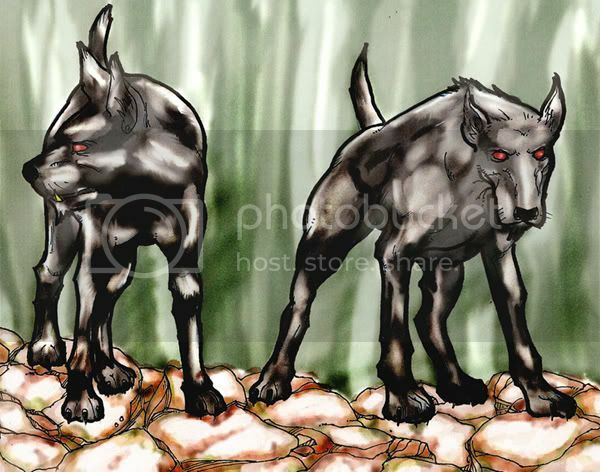 My first work for them was the Death Mother critter. What kind of art direction do you get from the Eggheads? Can you tell us a little about the process? Fred Hicks is a very experienced Art Director. A real rock star! He gives all the details he’s looking for, with references. I got the art specs, and started cranking out thumbnail sketches till we got one that was in-line with what they were looking for. The most important things for an Art Director to be (in my opinion) is to be readily available. Especially since we’re all on a deadline. If I can get sketches to him, and he can give me quick feedback/ approval, I can move forward and get the project done…fast and closer to what he wants. 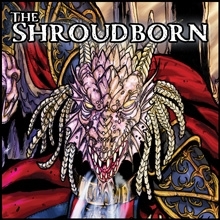 Your most recent OBE product is the Shroudborn, what was it like working on that one? That was a lot of fun. I kind of got to piece together a number of elements I’ve always loved: spellcasters, dragons and undead. I also got to learn a lot about lighting and underground caves. I did a lot of looking around for reference images for that. Of course, my representation is greatly flawed in many areas, but it’s all a learning process and I think I’ve improved a bit on this one. 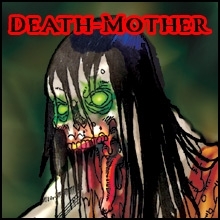 The Death-Mother is an “interesting” piece of work, how challenging was that one to put together? Well…my initial direction was just a concept piece to get the critter “right”. Then I did some tweaking to make it somewhat interesting to look at. I remember telling Fred “It’s gruesome. We’re going to get complaints from Little Jimmy’s mom on this one”. Fred laughed and was cool with it, so we let it ride. I think we achieved “scary, and gruesome” without going “too far”. Speaking of monsters, you did some work for Hungry Little Monsters by Sean K Reynolds, what was your contribution to the book? I got to do the “Bound” critter. Kind of a skeleton with the aura of the spirit still wrapped on it. My initial sketches weren’t quite “right” so I reworked it to what SKR wanted. That’s one I’m really not happy with. I’m likely to do a rework of it later on. It’s pretty amateurish as it sits. Some of the other monsters you’ve helped create recently were part of the Flames Rising Halloween Horror collection. Which is your favorite? Why? Succubus. It was hardest, so I did it first (I usually do). I knew how to draw the woman easy enough, but making the background look right…I wasn’t sure. I think I like this one the most because I learned the most on it. This is another one I’ll be redoing (now that I’ve figured some stuff out). 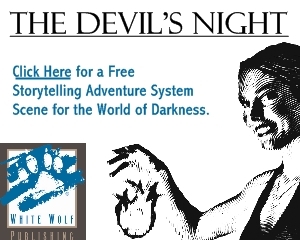 Have you ever had any of the products you’ve done the art for come up in a game you were playing? No, not yet, though running in to one of the Creatures of The Shroud, the One Bad Egg stuff…man, they look kinda scary. I don’t think I’d care to face one of them. I have a DM currently who is digging the Half Dead. He’s a WoW player and the undead are really up his alley. I don’t think that’s going to fare well for us. What is your favorite genre of art to work on? Fantasy. Hands down. Elves and Dragons and stuff like that. Swords and armor. I’ve made a lot of armor back in my SCA and reenactment days, so I know how armor works: assembly, wear, usage, repair, etc. I’m also a big D&D nerd. Ever since 1983. Sci-Fi is fun…but has a lot of challenges of its own. Sci-fi often has more precision. Straight/ perfect lines. Smooth curves. That sort of thing. I work almost entirely freehand, so those parts are harder. It just means I have to use more tools to make it look right. I ronically I’ve had some really great reviews of my sci-fi work, even though my fave is Fantasy. Horror…well…I can do scary fantasy and scary sci-fi pretty well. I haven’t done a lot of straight “Horror” stuff. At least not yet. I hope to broaden my scope a bit this year. You recently opened a new online store, what can we find there? Coffee mugs (I love coffee cups/ mugs) cards, hats, magnets, stickers, the usual Cafe Press fare. Of course if anyone digs a certain pic I can put it on anything Cafe Press has in stock. Pretty much anything I’ve done I can use because I’m not making a profit off it on Cafe Press. It’s purely self-promotion, getting the art out there, visible, attainable for anyone who is interested. Pretty much anything in my gallery can be put on a mug, mouse pad, clock, sticker or magnet, etc. Doing a bunch of Dragons for Hero Games. They wanted the elemental dragons to be done by the same guy and that guy is me! I totally lucked out on that. Any chance to draw dragons is a treat! After that I have a bunch of pics to do for SR4 for Catalyst Game Labs. I also am Art Director for Mythmere Games‘ Knockspell Magazine. Issue #1 is coming out any day now. 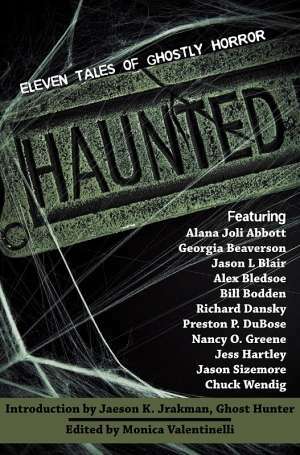 I’m responsible for Art Direction on Issue #2 It’ll be available via Lulu in paperback as well as PDF. They’re using one of my images as cover art but otherwise I’m avoiding doing art for Issue #2. I’ve always felt that Art Directors shouldn’t fill their projects with their own work. It’s kind of a conflict of interests. Visit Team-Preston.com for a look at Jeff’s gallery and information on upcoming projects. Be sure to check out his new Cafepress Store for posters, t-shirts and other items. Jeff’s great to work with. Thanks for posting the interview!